We provide Leno bag for packing vegetables can keep the vegetables fresh. Permeability of these bags helps in significant saving in energy cost in cold storage systems. Our bags keep products safe and fresh for long durations have excellent re-usability. Our range of bags are capable of carrying fruits and vegetables in bulk quantity. We are the leading manufacturer and exporter of an enhanced quality Leno Bag for Vegetable. The offered products are fabricated with quality approved material that is sourced from trusted vendors in the market and contemporary tools in adherence to set industrial norms. The Leno Bags offered by us are known to ensure safe storage of various products. 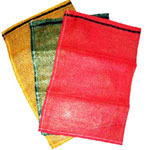 These bags are used for packing vegetables, fruit and other foodstuffs. These Leno Bags are available in different sizes, shapes, designs, patterns, colors and capacities. 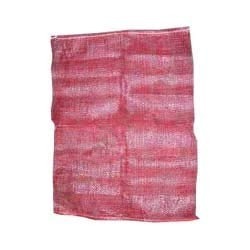 Leno Bags / Leno Mesh Bags, used for packing of various Agricultural products such as : Onion, Garlic, Potato, Carrot, Ginger, Orange, etc. It is also popularly known as mesh bags. Leno Bags being permeable allow the air to pass through the bag which help to keep the the product fresh. PP Leno Bags and Fabric is used to package various commodities like Vegetables, Fruits, Tea, Pulses, Butter, Cereal and Meat. Our Leno Bag for Packing Fruit are developed to the highest standards of quality and exhibit a high level of flexibility and efficiency and can carry loads of over fifty kilograms & visibility of the product is better. Our bags keep products safe and fresh for long durations have excellent reusability and washability characteristics. Available in a wide range of attractive colors. Our Leno Bag are developed to the highest standards of quality and exhibit a high level of flexibility and efficiency and can carry loads of over fifty kilograms & visibility of the product is better. Our bags keep products safe and fresh for long durations have excellent re usability and washability characteristics. Available in a wide range of attractive colors. We manufacture Leno Bags/ Mesh Bags/Net Bags that feature open weaved polypropylene fabrics finish, which allows air circulation around the product that is packed in the bag. We are the manufacturer and exporter of Big bags , Jumbo bags , PP bags , Leno bags , Cement bags , Rice bags , Sugar bags , sand bags , bulk bags , Concrete bags.